Today is the day for which we all are waiting. We all are football fans and everyone wants to watch the matches live in the stadium, But due to some reason, you can't go to Russia to watch World cup. But, now you can watch the whole live stream in VR. The tournament kicks off today and a winner will be crowned July 15. The first match Russia versus Saudi Arabia is scheduled to start at 11am EST. According to Variety, Fox and NBCUniversal’s Telemundo own the U.S. media rights for this year’s World Cup, for English- and Spanish-language broadcasts respectively, as well as the 2022 and 2026 events. Both will be streaming all 64 matches live in VR for those with TV subscriptions. Fox Sports will deliver all matches live-streamed at FoxSports.com and the Fox Sports VR app (Available for both IOS and Android Devices). The experience was created in partnership with the social VR streaming startup LiveLike. On TV, Fox Sports will deliver an unprecedented 38 games on Fox broadcast stations and 26 matches will air on Fox Sports 1. Fox Sports will deliver five bonus feeds for each match. Those are Team Channels, encompassing three live video feeds (match simulcast, player and coach/bench) for each country’s team; Match 360, behind-the-scenes views two hours before each match kickoff; Tactical View, a feed from a camera positioned high above one of the goals to show all 22 players on the pitch; a Cable Cam, which is suspended above the pitch; and a highlights feed with a continuous loop showing significant plays as they happen from multiple angles and in super slow-motion. Also, User can create customizable avatars and watch the VR live stream with friends and other viewers. Users will be able to connect with friends via Facebook or find other fans at random to share the event. Telemundo’s coverage of the World Cup will be available via the Telemundo Deportes En Vivo apps (for iOS and Android) and Telemundo stations’ apps. Telemundo’s VR experience for Spanish speakers will also take place in a virtual lounge. The matches will be shown live in 180-degree video, with highlights and goals in the 360-degree video. Also, the matches will be available via the NBC Sports app (for iOS and Android), as well as most connected-TV platforms, including Apple TV, Roku, Amazon Fire, Chromecast, Xbox, Sony PlayStation, and Samsung Smart TVs. 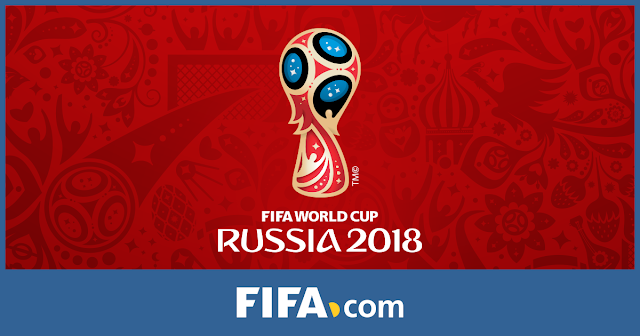 The BBC Sports FIFA World Cup virtual reality app is now live, allowing you to watch all 33 games the BBC is showing, and highlights, in VR. UK can see BBC Sports VR programming, It's Available for both IOS and Android. The BBC is also trialing 4K iPlayer streams but this is only for a certain number of viewers and are limited to the following TVs and set-top boxes. Here's hoping by Euro 2020, there will be fully fledged 4K content available for all 4K TVs. Oculus is going to stream a handful of World Cup matches in virtual reality (VR) via Oculus Venues, Select games will be live-streamed for free.